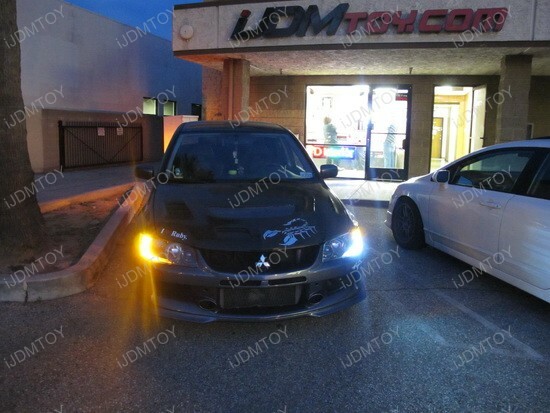 This Mitsubishi Evo 8 turns heads when pass by with the new 7440 Switchback LED for parking lights and front turn signals when needed. See the pictures below and watch the video for more information. This is what you can definitely call a good buy. And what’s more, with a lifespan of about 20000 working hours, this product will be a feast for the eyes for quite a long time. Before installing the 7440 Switchback LED bulbs, your original 7440/992 sized turn signal bulbs would only light up when you use the turn signal. 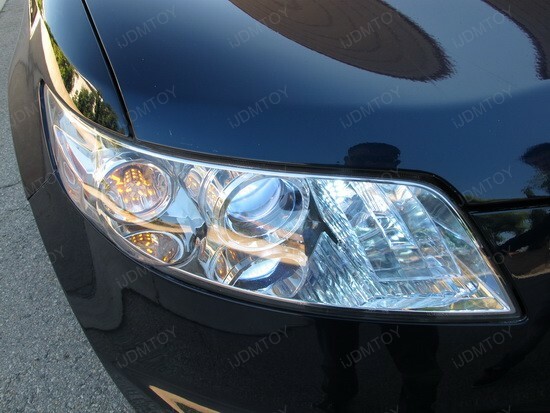 However, iJDMTOY now have a new revolutionary Single Filament Switchback LED bulb that can light up as your parking lights and still function as your turn signals. 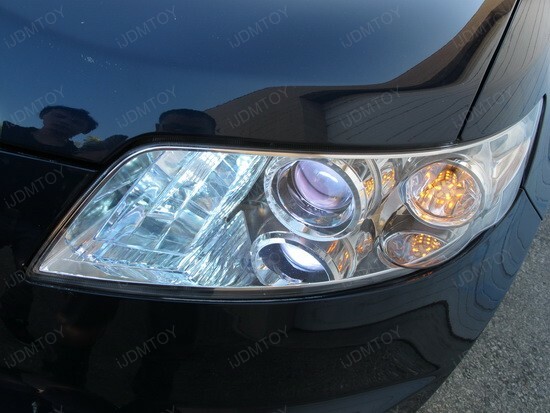 During parking light mode, it will light up as Xenon White and when you use your turn signals, they will flash Amber Yellow. 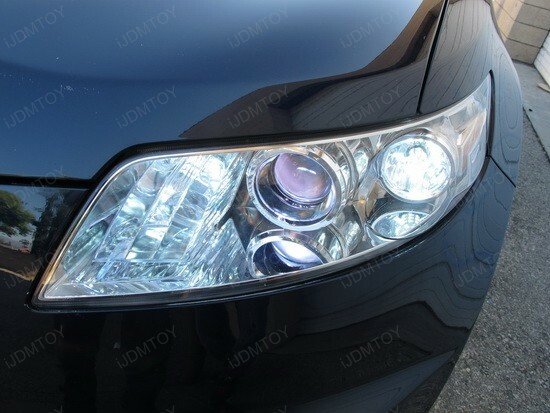 The clean crisp Xenon White light is very distinctive at night and day, but not to a point where it’ll blind traffic. Be sure you’ll get a lot of compliments on these Single Filament Switchback LED bulbs. For these bulbs all you really got to do is remove the turn signal bulb, pop these in your turn signal socket and tap the third wire to your parking lights (positive). Tap both resistors and you are done. The whole job won’t take you more than 15 mins and it should work on non hid headlight as well if your turn signal is in the same place. 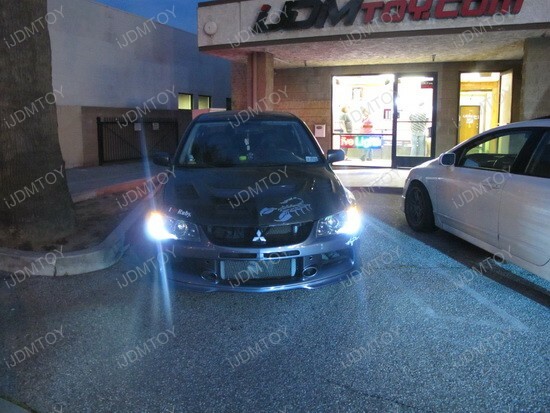 Our 7440 Switchback LED bulbs add a very nice touch to this sporty Mitsubishi Evo 8 and made it look a lot better. Treat your car the way it deserves and turn some heads around while cruising down the street in style, because you just can’t go wrong with purchasing this product. Nothing can beat the amazing 2006 Infiniti FX35 in terms of class, comfort as well as looks but you can redefine its look by installing a small upgrade called 7440 single filament switchback LED lights. We know that seeing is believing, so just check out the pictures of 2006 Infiniti FX35 and just see for yourself that how these small 7440 switchback LED lights can create a big difference. By merely installing these 7440 single filament switchback LED lights you can transform your 2006 Infiniti FX35’s tough and masculine look into a smart and sporty one. These 7440 switchback LED are dual color lights i.e. bright Xenon white light for parking, which automatically switches into yellow amber while giving turn signals. It is quite difficult to identify dull yellow signal lights during the day. 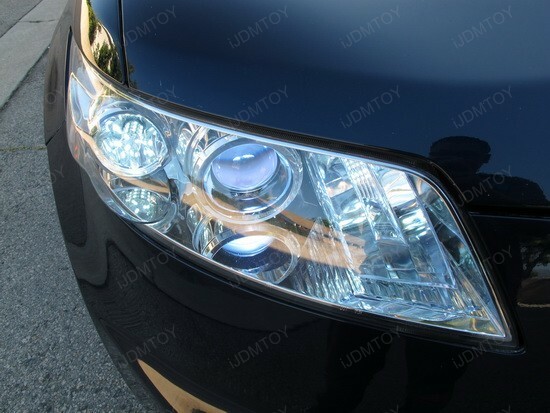 However, 7440 single filament switchback LED’s emitting bright yellow turn signal lights, which are easily noticeable during the daytime. 7440 single filament switchback LED lights provide direct replacement to 7440, 7440A and 992 stock light bulbs for front signal lights. It is quite easy to install these 7440 switchback LED lights as all you need to do is plug them according to the given instructions and enjoy. You don’t have to do any kind of additional wiring in order to install them. If you find any difficulty in installing these beauties then you can contact iJDMTOY guys for assistance. 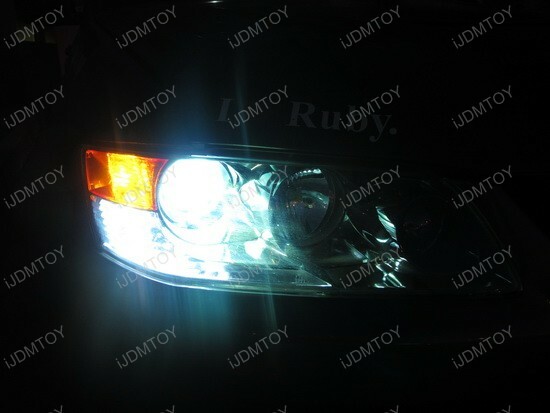 The product contains 30 pieces xenon white LED light for parking and 30 pieces of yellow amber LED light for front turn signals. It is advisable to purchase these lights along with load resistors in order to stabilize the blinking rate and prevent malfunction. Ideally, these 7440 switchback LED lights are sold at around $30 each in the market but at iJDMTOY.com you can have a pair of these sparkling 7440 switchback LED lights for $ 45.99 along with the load resistor. At such a low price these 7440 single filament switchback LED lights are quite a steal. These 7440 switchback LED are made by using good quality materials and they have an average lifespan of around 20,000 hours. This means that these 7440 single filament switchback LED lights last much longer than traditional stock lights and other aftermarket switchback LED lights. If you like to upgrade your car then stop spending unnecessarily on buying expensive upgrades, just log on to iJDMTOY.com for great low priced deals on aftermarket upgrades.